Some tacos are quite time consuming, requiring braised meats or roasting vegetables. 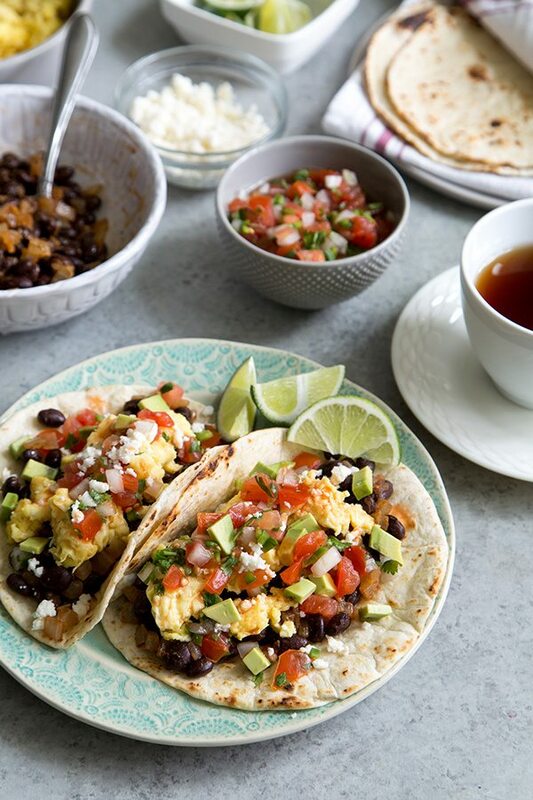 These breakfast tacos are quick and easy to make- exactly what you need during the morning rush. 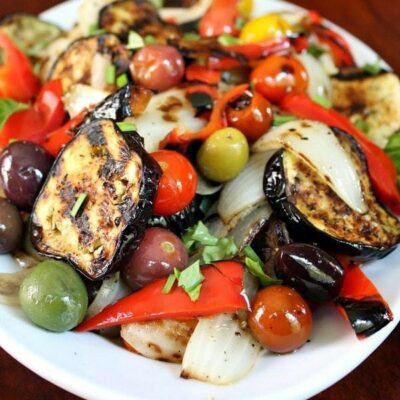 Best of all, you can prepare the components ahead of time and just throw it together when you’re ready to eat. 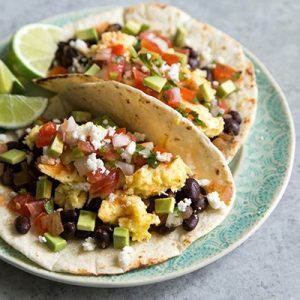 These breakfast tacos are filled with seasoned black beans and onions, soft scrambled eggs, chopped avocado, salsa, and crumbled queso fresco. This is where you can be fun and creative. 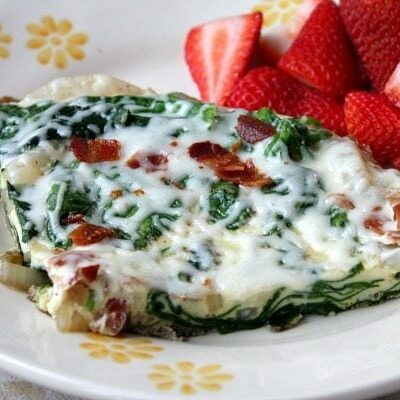 Perhaps add a dollop of sour cream, maybe a little guacamole, or some crispy bacon. While I opted for scrambled eggs, sunny-side up eggs would be equally delicious! I used small flour tortillas, however, you can make these gluten-free by using corn tortillas. 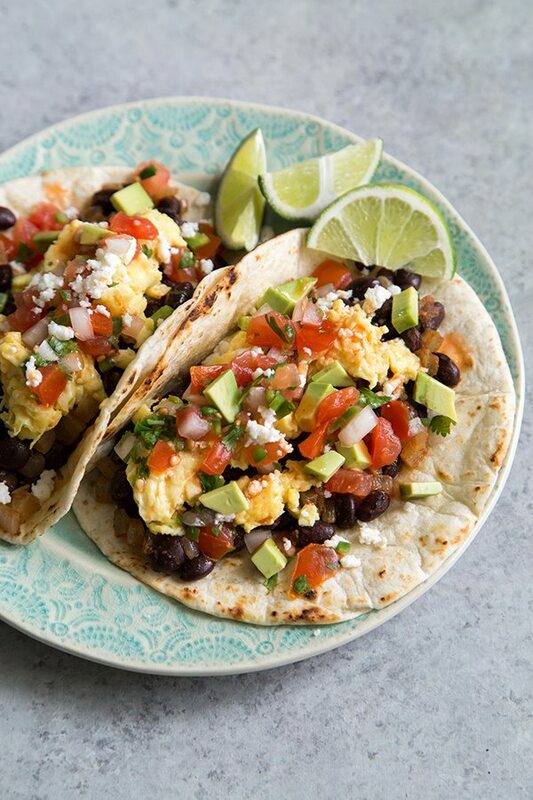 Despite its name, these breakfast tacos can be served at any meal. As we approach the warmer months, these would be fantastic to serve al fresco with an ice cold agua fresca or a tasty margarita! This recipe can be easily multiplied to serve a party. Add 1/2 tablespoon of oil to a skillet and set over medium heat. Once warm, add the onion. Cook for about 2 minutes until the onions are translucent. Add the black beans, water, and taco seasoning. Stir together to distribute seasoning. Cook until beans are heated and most of the water has evaporated. Remove from heat and set aside. Whisk the eggs in a large bowl. Season with salt and black pepper. Add remaining 1/2 tablespoon of oil to a clean skillet and set over medium heat. Add the eggs and stir with a spatula. Continue to stir until the eggs have set into soft curds. Remove from heat, or continue to cook to desired consistency. Warm up tortillas over the open flame of a stove. Keep warmed up tortillas covered until ready to assemble tacos. Assembly: place warmed up tortilla on a plate. 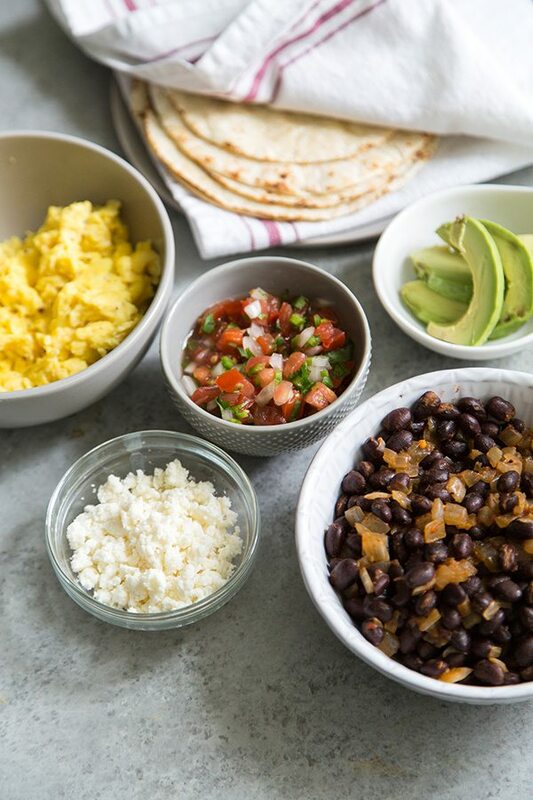 Add black beans and scrambled eggs. 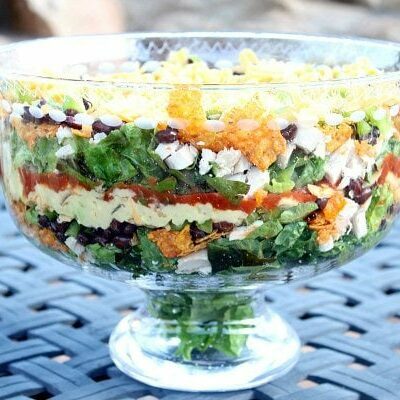 Top with salsa, chopped avocado and crumbled cheese. Serve immediately. 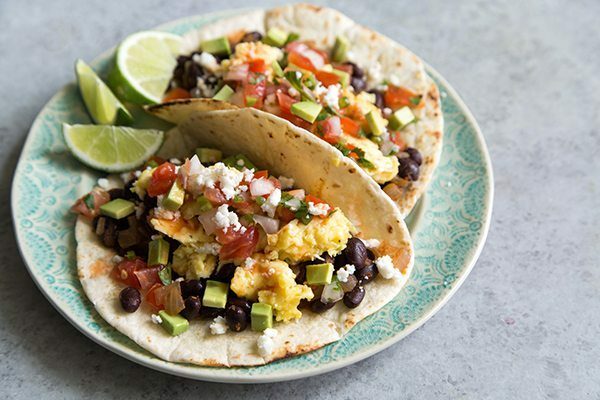 Weight Watchers Freestyle SmartPoints per taco: 4 using corn tortillas, 5 using low carb flour, and 7 using regular flour --- adding cheese will be additional points.